Manchester City are set to make a €40 million (£35.9m) offer for Barcelona midfielder Sergi Roberto in January, according to reports. The 25-year-old has been a regular in Ernesto Valverde’s side this season, playing in six of Barcelona’s seven La Liga games (6 starts) to date. Roberto came through the Catalan club’s famous youth system as a midfielder but has started at right-back four times to start the new season. His other start in La Liga came in central midfield whilst his sole Champions League start in 2017-18 was as a right midfielder in their 1-0 win at Sporting Club of Portugal. City boss Pep Guardiola likes his versatile players whilst Sergi Roberto’s buy-out clause of €40 million is cheap by the Premier League club’s standards. Spanish newspaper Don Balon is reporting that Manchester City will activate Sergi Roberto’s buy-out clause during the January transfer window and that the player himself is unhappy at not being offered a new contract at Camp Nou. If this is true it could attract the attention of Jose Mourinho as we were strongly linked with a move for the Spaniard during this past summer transfer window. 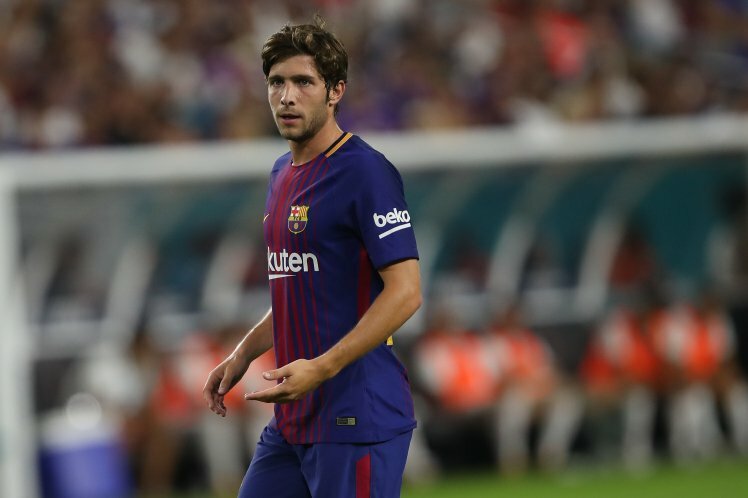 My question would be whether we really need to splash such a price on Sergi Roberto who would unlikely hold down a regular place in our starting lineup. Antonio Valencia is one of the best in his position at right-back whilst we are spoiled for choice with options in central midfield when healthy. To me it sounds like a hefty price for a backup player. It also remains to be seen whether Sergi Roberto will leave Barcelona in the near future or not. Given that he is currently a regular in the first team who are already five points clear at the top of La Liga makes you wonder why he’d even consider leaving right now.